It’s easy, you break a part and send me a picture and a mailing address. I send you new pieces no charge and the shipping is free too! 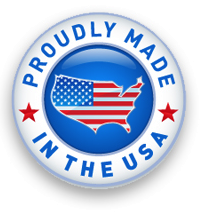 All parts, including the storage bag are made right here in the USA. Most of it is made in Idaho. We believe in creating more American jobs. We appreciate you. 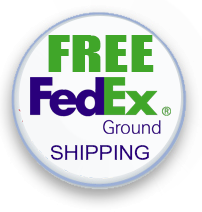 We will cover the shipping to any of the 48 states using FedEx Ground. Expedited shipping is available at our cost. Toydle guarantees the original purchaser of a Toydle Fort (hereinafter “Product”) a lifetime warranty against the Product breaking or failing tue to defects in materials or workmanship. All Products shown to be broken or failed due to defects in materials or workmanship over the life of the Product will be replaced without charge for materials or labor. We’ll cover the freight costs of up to a full year. Toydle’s sole and exclusive obligation under this warranty shall be limited to the repair or replacement of the defective item*(s) at Toydle’s discretion. Restrictions. 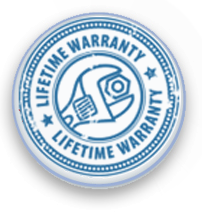 This warranty does not apply if the Products (a) has been altered, except by Toydle or its authorized representative, (b) has not been installed, operated, repaired, or maintained in accordance with instructions supplied by toydle, (c) has been subjected to abnormal physical or electrical stress, abnormal environmental conditions, misuse, negligence, or accident; or (d) normal wear an tear or acts of God. Damage incurred due to shipping and handling does not constitute a defect under this warranty. Warranty does not include costs of removal, installation, inconvenience or consequential damages. In the unlikely event that the Toydle’s warranted Product should prove defective during the warranty period, original purchases must contact Toydle’s Customer support. Products returned for repair/replacement must be securely packed to prevent further damage and shipped charged prepaid along with proof of purchase. within a reasonable amount of time from it’s receipt of your product so shopped, Toydle will ship to you, as its option, the repaired products or a new or reconditioned product of comparable or greater specified functionality. All repaired or replacement products shall be warranted for the remainder of the original Product warranty. Toydle makes no other express or implied warranty with respect to the product other than the warranty set forth above. No Toydle dealer, agent, or employee is authorized to make any modification, extension, or additional to this warranty, unless unenforceable or unlawful under applicable law, Toydle disclaims all implied warranties, including the implied warranties of merchantability, satisfactory quality, accuracy of informational content, or arising from a course of dealing, law, usage, or trade practice, non-infringement, and fitness for a particular purpose, and the liability of Toydle, if any, for damages relating to any allegedly defective product shall under any tort, contract, or other legal theory be limited to the actual price paid for such product and shall in no event include incidental, consequential, special, or indirect damages of any kind even if Toydle is aware of the possibility of such damages, some states do not allow limitations on how long an implied warranty lasts or the exclusion or limitation of incidental or consequential damages, or the above limitations or exclusions may not apply to you. This disclaimer and exclusion shall apply even if the express warranty set forth to the left/above fails of its essential purpose. Applicable Governing Law: Terms and conditions of the above warranty and policies will be subject to the laws of the State of Idaho, Ada County.